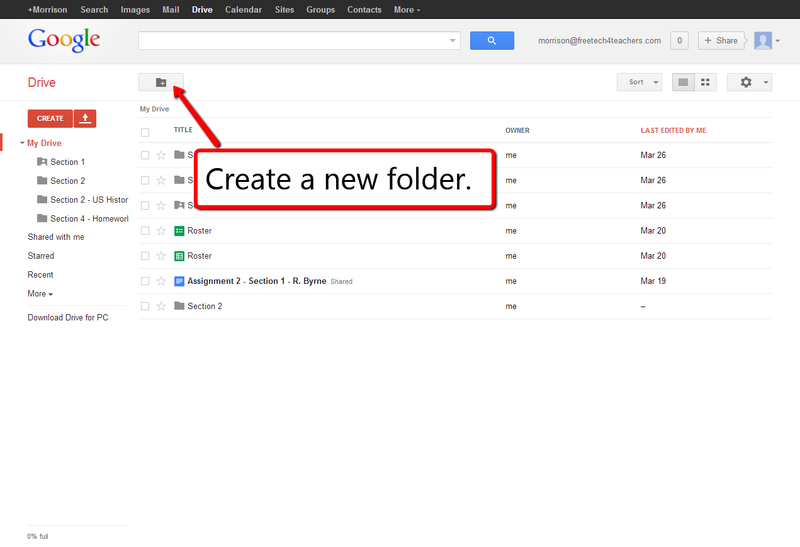 One of the ways that I like to share documents, presentations, and files in Google Drive is through shared folders. By creating a shared folder anytime that I add a new item to it, all of the people that have access to the folder have access to the new item I've added to the folder. 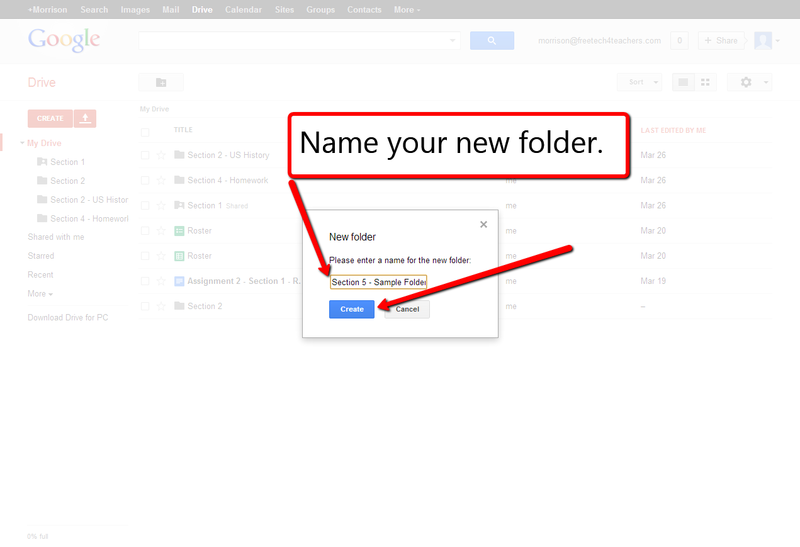 This is a great way to distribute assignment descriptors, lab report templates, grading rubrics, reading materials, or videos to your students. 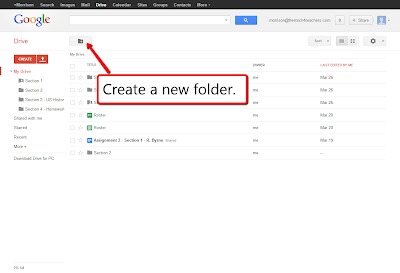 At the beginning of a semester create a folder, share it with your students, and then for the whole semester you can distribute assignments to students by just adding new content to the folder. 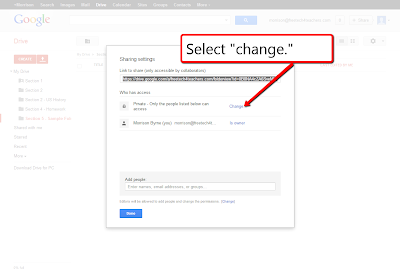 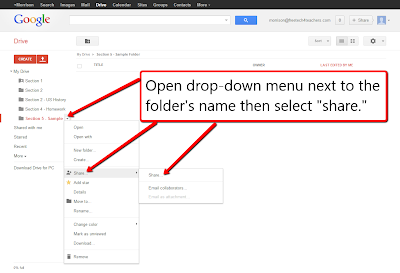 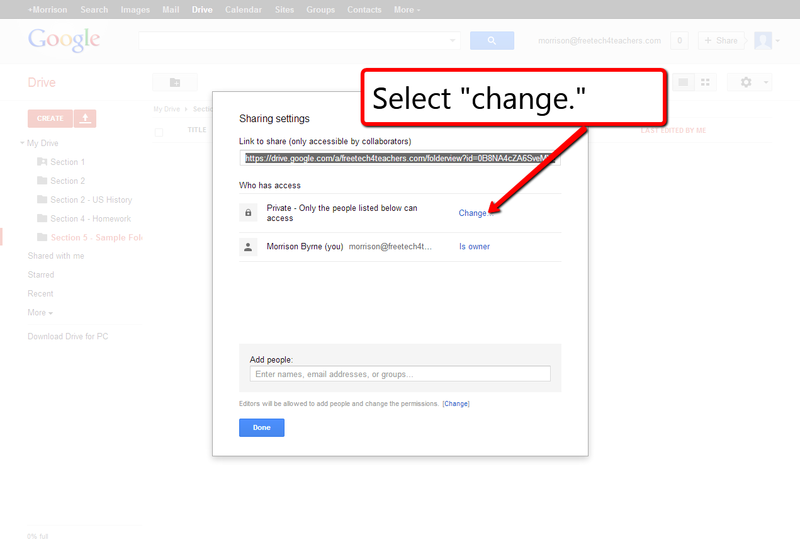 The directions for creating a shared folder are posted below. 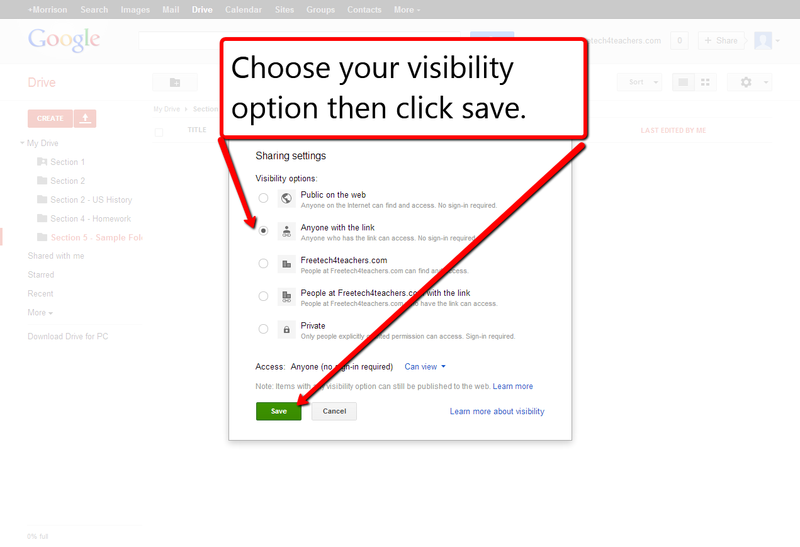 (Click the images to view them full size). 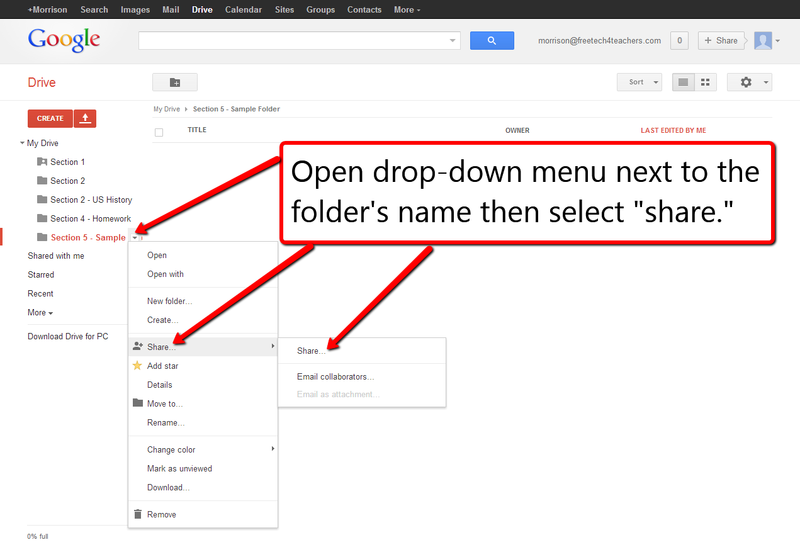 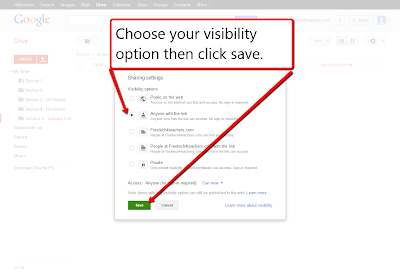 Note: Anything that you create inside the folder will have the same visibility permissions as the folder itself.